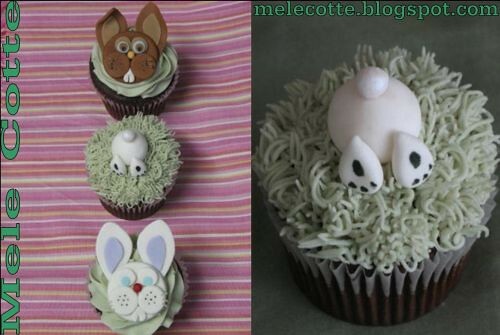 You have cast your votes and you’ve chosen these fabulous cupcakes by Chris over at Mele Cotte as the winner of the Easter Cake Bake 2009. Many congratulations to Chris and a big well done and thank you to everyone who entered; every entry was just fantastic! Thank you! Thank you! Third year was a charm. It was fun as always. These are wonderful – very creative – and good enough to eat! Looks like you had some cracking entries, Julia. Congrats to Chris! THose are really cute! Congrats to the winner and what beautiful cupcakes!